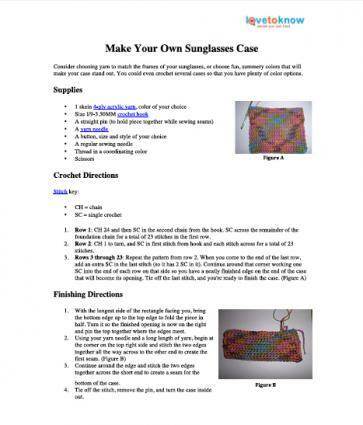 Crocheting a case for your sunglasses is a simple project that can be done in about an hour. This pattern will fit most types of sunglasses, but it's easy to adjust the size for a custom fit it you need it. Consider choosing yarn to match the frames of your sunglasses, or choose fun, summery colors that will make your case stand out. 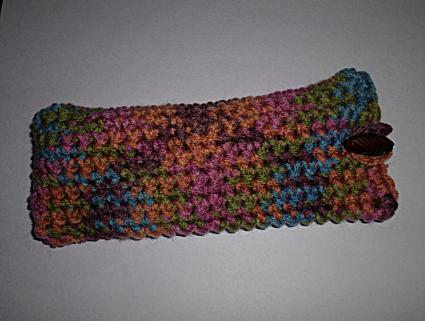 You could even crochet several cases so that you have plenty of color options. Row 1: CH 24 and then SC in the second chain from the hook. 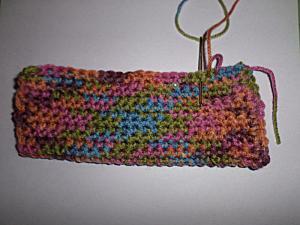 SC across the remainder of the foundation chain for a total of 23 stitches in the first row. 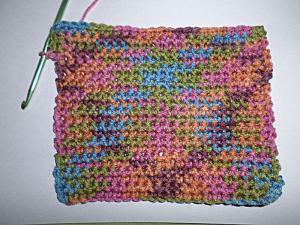 Row 2: CH 1 to turn, and SC in first stitch from hook and each stitch across for a total of 23 stitches. With the longest side of the rectangle facing you, bring the bottom edge up to the top edge to fold the piece in half. Turn it so the finished opening is now on the right and pin the top together where the edges meet. Continue around the edge and stitch the two edges together across the short end to create a seam for the bottom of the case. Tie off the stitch, remove the pin, and turn the case inside out. Using the regular needle and thread, sew the button onto the front of the case about 3/4 of an inch from the finished edge of the opening. Create a new chain of 8 to 10 stitches or just long enough that it loops around the button snuggly when the loop is attached to the back edge of the case. Even though this pattern will fit almost any pair of sunglasses, you can easily create a smaller or larger size case. As you create the original chain, compare it to the length of your sunglasses and chain exactly how many stitches you need to cover the length of the glasses from one side to the other. As you single crochet the rows, only crochet enough rows to wrap around the sunglasses with an allowance of one extra row for the seam, and then finish the piece according to the original directions. If you prefer working from a paper copy of your favorite patterns, you can download and print this crochet pattern below. Use these tips to help you download the Adobe printable. Once you've made one of these cases and see how quick and easy it is to create, you might want to make some for other people you know. This is a good project for using up leftover yarn from other projects, and they make great gifts.